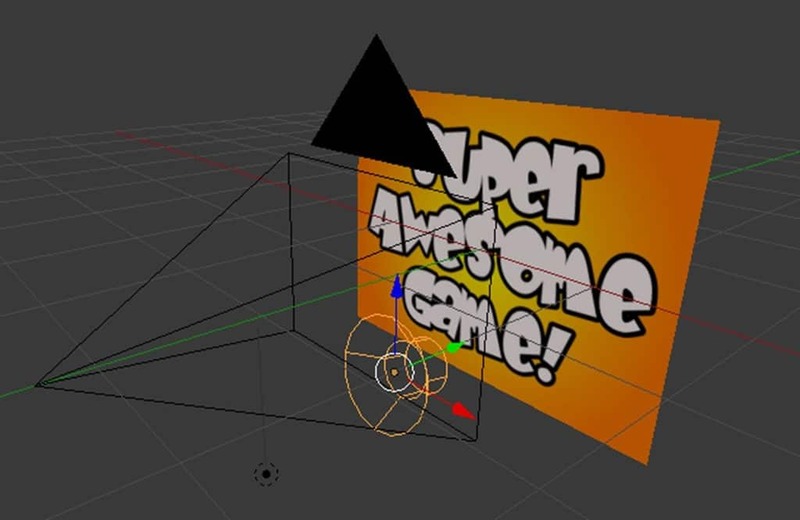 One common question you see when it comes to using the Armory engine is “how do I structure my game?” This tutorial demonstrates one way a game can be organized into levels and scenes, using Scenes in Blender. 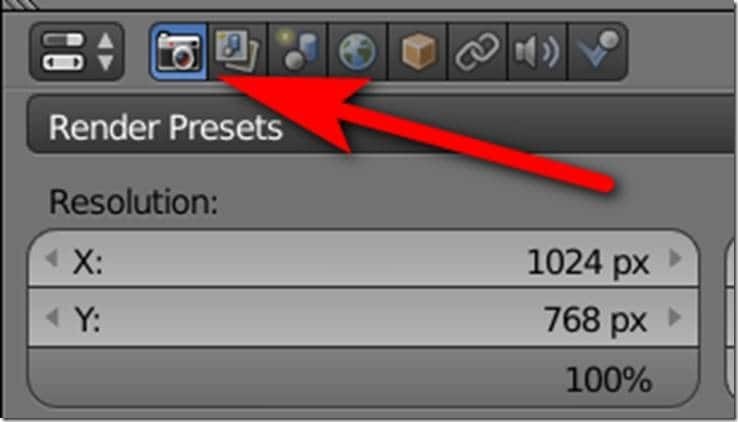 In Blender you can have multiple Scenes in a single Blend file. 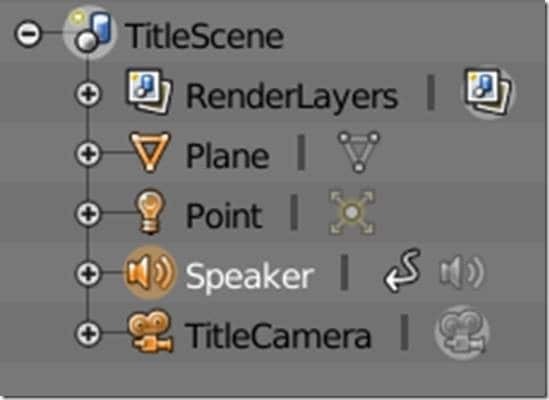 You can create a new Scene using the + icon in the topmost Blender bar. 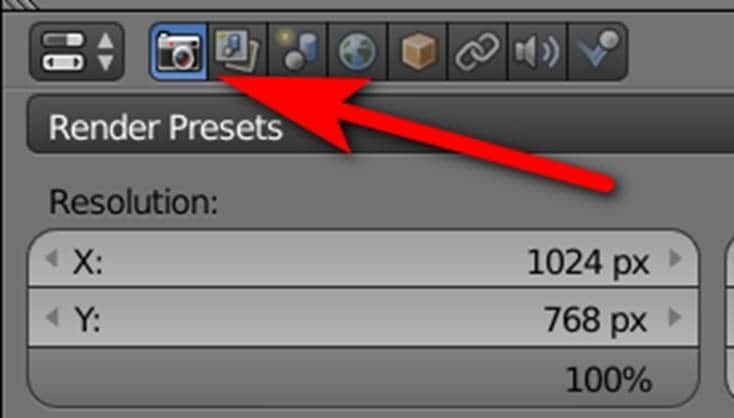 Keep in mind, for each scene you create, you need to manually set the renderer to Cycles to work with Armory. TitleScene is going to be our simple game start screen, displaying a title graphic and playing background music until the space bar is pressed, at which point we will load Level One. We will then demonstrate how to switch between game scenes or levels by switching between LevelOne and LevelTwo. We will also show how to pull data from a separate scene, demonstrating how you can share data across multiple scenes. Then check for the spacebar being hit, at which point we stop playing our music and switch scenes. It’s important to stop playing the music before changing scenes, as the speaker is part of the scene we are leaving! 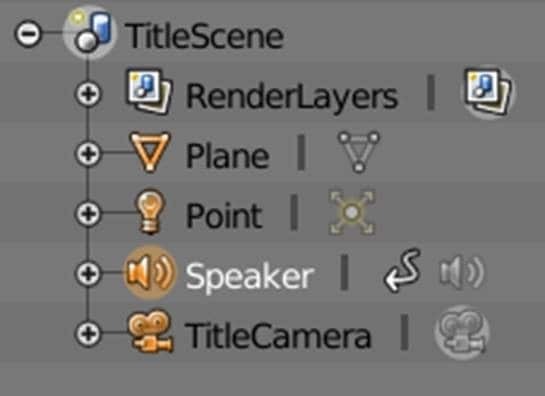 Switching scenes is as simple as calling the Set Scene node, passing in the name of the new scene to load. 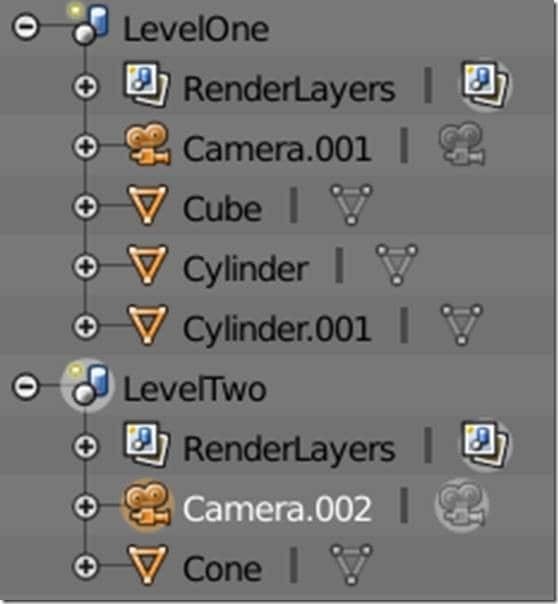 In this case we are loading the LevelOne scene. Now let’s set up two different scenes, LevelOne and LevelTwo. 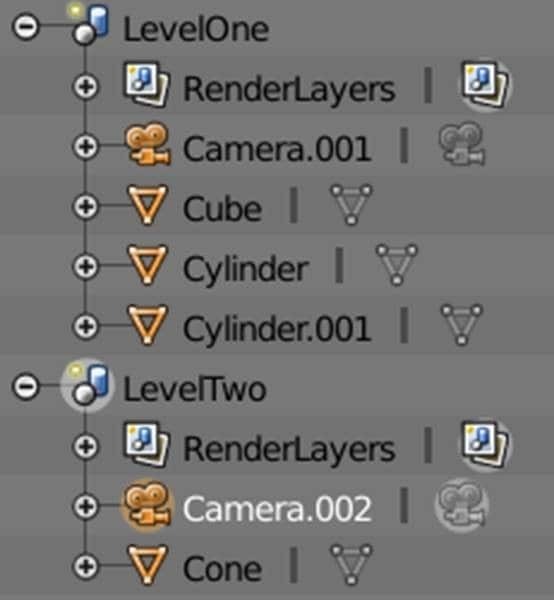 This would obviously be your different game levels, making sure that at least one camera is defined in each. In this case I simply populate with a couple different meshes. This really looks more complicated that it is. When the keyboard is pressed we check the active scene name and compare it to “LevelOne”. If it’s already level one, we switch to “LevelTwo” or vice versa. 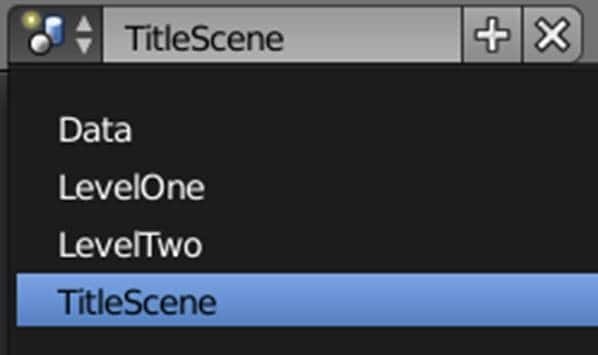 Scene switching is done using the Set Scene node, passing in the name of the scene to make active. Now when we run our game, we can hit spacebar to toggle between active scenes. Here we create the new scene using a Spawn Scene node, once again you can set the scene value by passing in the scene’s name. In this case we randomly update the transform to be between -2 and +2 in x, y and z directions. 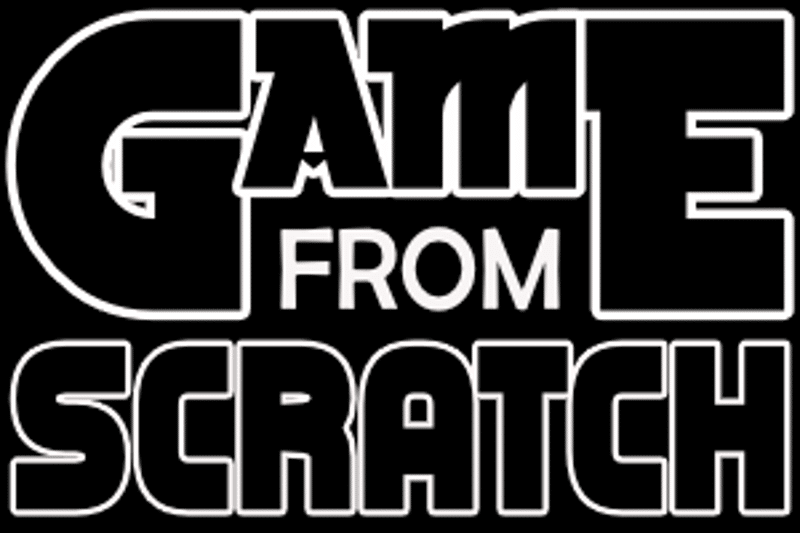 This means whenever we press the Shift key, a new Suzanne will be randomly created within our scene. 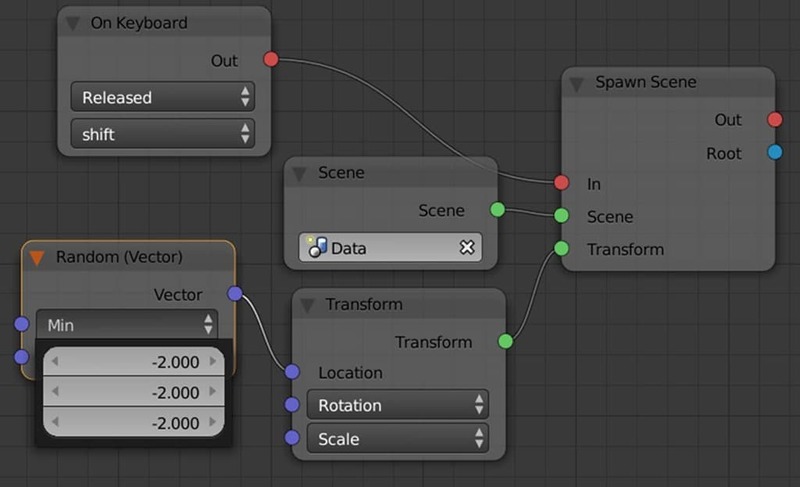 Now don’t forget to apply our newly created SceneSwitcher node graph to BOTH LevelOne and LevelTwo scene traits.